Melt butter with extra virgin coconut oil in a large skillet over medium heat. 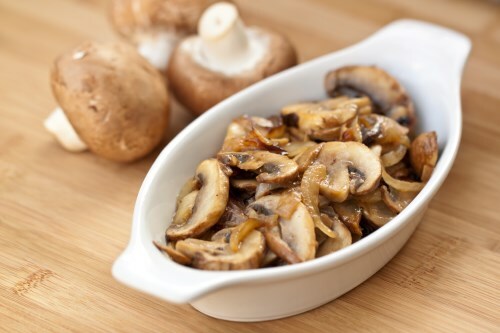 Stir in balsamic vinegar, garlic, oregano, and mushrooms. Saute for 20 to 30 minutes, or until tender.